Looking to start a team? Please review this information and contact League Director with questions. 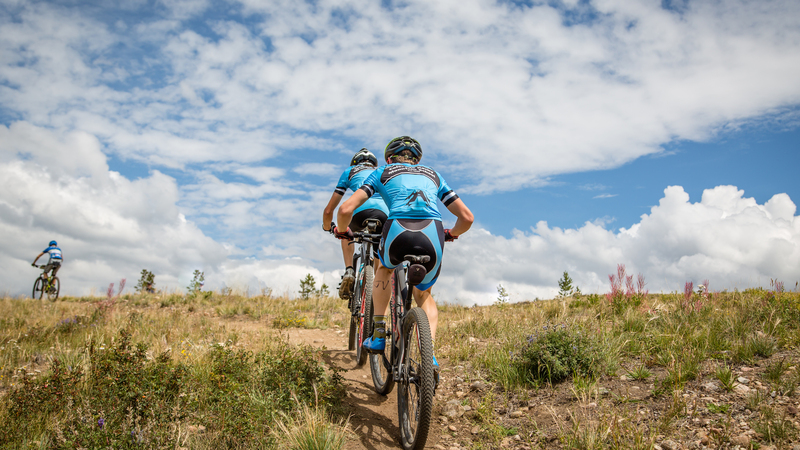 Individuals can participate in the Colorado League, but it’s even more fun to have a team to train and race with. Whether you are a student or coach, the League is here to help you form a team at your local high school or in your area. Check out the Team List to see if a team already exists at your school or in your area. If you don’t see a team in your area and are interested in forming one, please contact the League Director. Interested in starting a new team? Please review the Team Starter Kit and complete this Team Application Form to let us know more about you and your community. Administrators, teachers, parents, students and/or community members can start a cycling club at their local high school. While it is not necessary that the person who initiates the club to be a school “insider” (teacher or administrator), this can be very useful. A teacher, administrator or school volunteer within the school possesses certain advantages, such as knowledge of the school community, bureaucratic systems and channels, and how to access potential teen cyclists. Extensive cycling experience is not necessary. One should simply have the desire to introduce kids to the sport of mountain biking. Once you have decided to create a team, the League can help educate you and provide you with all the tools necessary to be an excellent coach. A Colorado League mountain bike team can be any size. Teams are broken into Division 1, Division 2, and Division 3 categories based on their team size (and not their school size). April-August: Registration for Colorado League teams begins in April. Teams can register as late as August 15th. At this time anyone who intends to coach a team should register with the League so that they are covered by our insurance. League teams are limited to the number of weeks they can have pre-season practice. In addition, teams are not insured outside of these limits. April 1 – July 31: Pre-season activities can commence limited activities on April 1st. Allowable pre-season activities are bike checks, fun rides, mechanical workshops or skills clinics. Between April 1 – and July 31, teams are allowed to have up to 8 scheduled pre-season activities. August 1- early November: Regular training practice (2-4 times a week) can commence on August 1st. All team rides or other training activities must end within two weeks of the final League race. $65 entry for State Championship, must qualify for this event. Race registration is online ONLY. Registration deadline is Monday at 11:59 PM the week of the race. Rider membership and race entry fees are NOT refundable. Race entry fees are transferable within the current year series. No onsite registration for State Championships. Please email League Director to request a race entry transfer. NOTE: Scholarships are available for riders, coaches and teams apply HERE. If a rider wishes to join a team without planning to race, the $65 Colorado League/NICA membership fee and forms still apply. Below is more detailed information about teams. We encourage all new athletes to recruit their fellow students to join in the fun! The Colorado League currently includes the entire state and spans north to Casper, Wyoming south to Taos, New Mexico. Neighboring states may participate if a League does not currently exist in that region. For more information about the NICA licensed coach program, please click here. New teams do not need licensed coaches, but the head coach does need to take steps towards obtaining one. Please contact your league director if you have more questions. All teams must register with the League. Doing so provides insurance coverage for team members and support for League programs. If you have a new team and want to register with the League, your Team Director/Head Coach should contact the League Director. If you are a returning team/coach, simply visit the Pit Zone. If you have questions about team registration, please contact the League Director. There are 2 types of teams. School-Based Teams: Comprised of full-time students from the same high-school, public or private. School-based teams can be “official” or “unofficial”. Composite Teams: Comprised of full-time students from more than one high-school within the same district or other geographic proximity. If a student’s attending school does not host a team the student may join the closest geographic School-Based team or Composite Team. Composite Teams are may be temporary solutions toward building school-based teams and are similar to a CHSAA “cooperative team” If a composite team has 5 or more students from two different schools, those students will be scored separately from the rest of the composite team unless a petition to do otherwise is approved. Home-schooled students may join the closest public high school team that corresponds to their neighborhood school. If their neighborhood team does not have a team they may join the team closest to them based on geographic proximity and school district boundaries. Please contact the League Director to confirm which team to join. Teams are awarded points after every League race that count toward the team’s standing at that individual race and for the overall series. Both girls and boys points count toward that team’s overall score. However, teams need not have boys’ and girls’ points to score for a race. Due to the difference in team size between divisions, Division 1 teams and Division 2 teams are scored differently. For Division 1, scoring is based on the top 15 point earners, with a maximum of 12 of those point earners being the same gender. For Division 2, scoring is based on the top 10 point earners, with a maximum of 8 of those point earners being the same gender. For Division 3, scoring is based on the top 5 point earners, with a maximum of 4 of those point earners being the same gender. For more information about Team and Individual Scoring or rules governing teams, please refer to the League Rulebook.